An artist's conception of the tiny alien planet Kepler-37b, which is slightly larger than Earth's moon and orbits its host star every 13 days. It likely has a surface temperature of in excess of 400 deg C (700 deg F). Image released Feb. 20, 2013. The discovery of a strange new world about the size of Earth's moon has shattered the record for the smallest known alien planet, scientists say. The newfound alien planet Kepler-37b is the first exoplanet discovered to be smaller than Mercury. It whips around its parent star every 13 days and has a roasting surface temperature of about 800 degrees Fahrenheit (427 Celsius), researchers said. It not a promising contender for life, they added. Astronomers found Kepler-37b and two other, larger planets (called Kepler-37c and Kepler-37d) orbiting a star about 215 light-years from Earth using NASA's prolific Kepler space telescope. Finding such a small exoplanet with the Kepler spacecraft was a stretch, but some attributes of Kepler-37b's parent star made the discovery possible. "There are not many signals masking the transit," study leader Thomas Barclay of NASA's Ames Research Center in Moffett Field, Calif., told SPACE.com. "What makes this exceptional was this dip of brightness was just 22 parts per million." Kepler-37b and its siblings, 37c and 37d, are likely uninhabitable, scientists said. All three planets lie close to their parent star, well inside the Earth-sun distance (called astronomical units, or AU). One astronomical unit is about 93 million miles (150 million kilometers). The moon-size Kepler-37b is so close to its parent star, at just 0.10 AU, that it likely has no atmosphere or liquid water on its surface. The next planet out, Kepler-37c, is slightly smaller than Earth and may have an atmosphere, but it orbits the star at 0.14 AU — well outside the star's habitable zone in which liquid water could exist on the surface. The biggest planet in the newfound alien solar system is Kepler-37d. It is about twice the size of Earth and orbits the parent star at a distance of 0.2 AU. "This could hold an atmosphere, but it's unlikely to be a rocky planet — more likely to be gassy — simply because of its size. It could hold some kind of liquid at the surface," Barclay said. The next step, Barclay added, will be to look for Mercury-sized exoplanets at greater distances away from the host star Kepler 37. More planets could be orbiting the star and await discovery. "We're looking at it very carefully," Barclay said. "There's nothing yet, but something may appear in the data." Two of the three planets orbiting the star Kepler-37 are smaller than the Earth while the third is twice Earth's size. Kepler-37b is about 80 percent the size of Mercury and is the first exoplanet to be found that is smaller than any planet in our own solar system. Image released Feb. 20, 2013. Barclay and his team took great care to confirm the existence of planets around Kepler-37. The researchers knew that a dip in the star's brightness identified by the Kepler spacecraft could have come from several factors, most notably another star passing in front of the Kepler-37 target. So they ran a computer simulation to see if the newfound planet candidates could be false positives. Using a tool called Blender from the Harvard-Smithsonian Center for Astrophysics, the researchers simulated several false positive scenarios in order to eliminate them. The results made researchers more than 99 percent confident that the planet candidates are actual planets, Barclay said. The science team managed to obtain a close approximation of the size of the Kepler-37 star, in addition to spotting its planetary retinue. The star's quiescent nature allowed the researchers to measure it with astroseismology, a technique that uses acoustic oscillations on the star's surface similar to how researchers probe the Earth's interior with seismic devices during earthquakes. The uncertainty for a star's size is typically 20 to 30 percent, Barclay said. In this case, using astroseismology, the researchers narrowed the uncertainty to 3 percent. 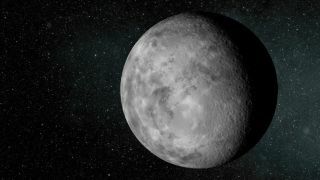 Measurements showed Kepler-37 is about 75 percent the size of Earth's sun and 80 percent as massive. This places the star within the same "class" of stars as our sun. The $600 million Kepler mission launched in March 2009, and has found more than 2,740 candidate alien worlds so far. Just 114 of these potential planets have been confirmed by follow-up observations to date, but mission scientists estimate that more than 90 percent will end up being the real deal. The spacecraft searches for small dips in stars' light caused by orbiting planets that pass in front of them periodically, dimming their brightness.